Triathlon has become the fast-growing sport today, attracting triathletes from across the country and the international community. And a significant number of triathlon races are being held annually in the country. With Sunrise Events, Inc. at the helm, watch out for the inaugural Regent 5i50 Triathlon slated on June 7, 2015, in Subic Bay. As the presenting partner, Regent Foods promises not only the exciting challenges of the multisport in the 1.5km swim, 40km bike ride and 10km run, but most importantly, a different kind of experience for every participating triathlete – from the swim start down to the finish line, and extends even more than receiving the finisher medal. Regent 5i50 features a challenging 1.5km loop, rectangular, clockwise swim at the waters of the Subic Bay Boardwalk,a 40km point-to-point bike ride to the Subic International Airport, heading to IDESS up to Tarlac Road and head back to Transition 2 in Remy Field. The 10km run will start from Transition 2 in Remy Field and heads on to the first turn around in Dewey Ave., going back to Remy Field and then go to Rizal Highway entering Argonaut Highway for the second turn around, and heading back for the finish at Remy Field. Top Aussie pros Casey Munro, Justin Granger, Clayton Fettel, Belinda Granger, Dimity Lee-Duke and Thai Carole Fuchs head the foreign entries in the 1.5km swim, 40km bike and 10km run, which serves as Regent’s answer to triathletes who love to do short – distance but challenging races in a world – class production set-up. “In our aim to support Filipinos’ changing lifestyle and needs, Regent Foods started to focus in promoting a balanced routine through our participation in fun run events. Over the past years, we have seen triathlon evolve as a fast – growing sport. We are truly proud to be part in supporting the triathlon community with the Regent 5i50 event,” said Ricky Lee, President and CEO of Regent Foods. Alaska Tri-Aspire’s Banjo Norte and Jenny Rose Guerrero, and LC Langit compete in the Filipino elite category. Celebrity triathletes Kim Atienza, Matteo Guidicelli, Victor Basa and Onemig Bondoc are also competing in their respective age groups. “We commend Regent Foods for joining the ever-growing list of backers of this popular three-sport athletic competition. With a talent-laden international field, we expect a world-class competition since the event also serves as a fitting tune-up for those competing in the Ironman,” said Wilfred Uytengsu, President and CEO of Sunrise Events, Inc., which also stages the Philippine franchise of Ironman, Ironkids and Safeguard 5i50. 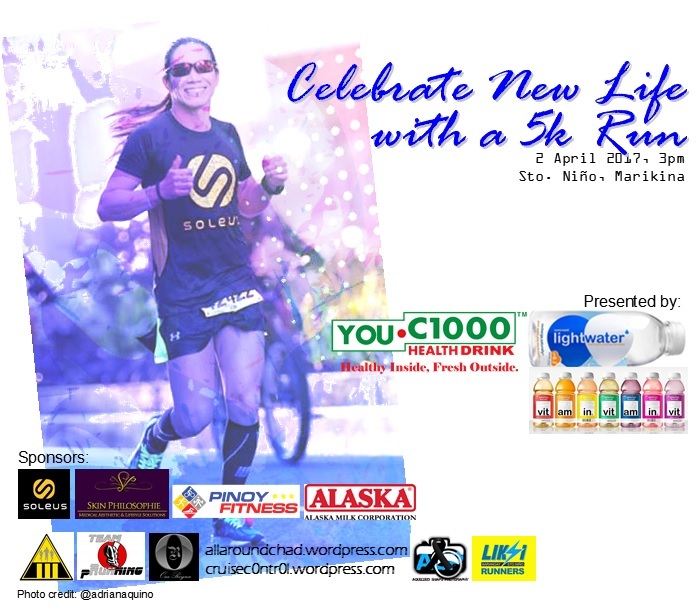 The two pre-event activities which include athlete registration, race pack claiming and race briefing will be held on June 5-6, 2015, is backed by 2Go Express, the official courier and logistics partner, Sante Barley, Newton Running, PLDT SubicTel, TYR, Coca Cola Femsa, Garmin, David’s Salon, Shotz, Smart, Pioneer Insurance, The Philippine Star Multisport Magazine, Intercare, Department of Tourism, Tourism Promotions Board and host venue Subic Bay.